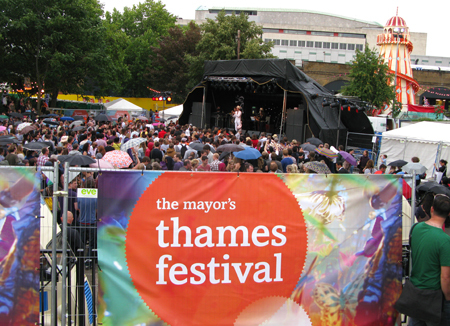 needles and lemons: The Thames Festival this weekend ! The Thames Festival this weekend ! After I have been torturing you now for a few weeks with my makes I just want to tell you quickly today where you can find said makes including myself this coming weekend at the Thames Festival.. The craft fair is located at Bernie Spain Gardens which is a beautiful relaxing garden located between Oxo Tower and Gabriel's wharf. I will have a stand somewhere there on Saturday and Sunday from 12 midday to 10 pm at night (yes 10 at night !). I hope you sell it all! Hope to see you tmr Judith :) Have fun!! I can't make it this weekend but good luck, I hope it's lots of fun too!